By the close of the 19th century, Kathakali, Mohiniyattom and similar art forms of Kerala began to die out. Thanks to the efforts of the great poet Vallathol Narayana Menon and his inseparable companion Manakkulam Mukunduda Raja, these traditional art forms received a boost. Their years of hard work and perseverance together with determination and commitment culminated in the establishment of Kerala Kalamandalam at Cheruthuruthi village by the side of Bharathapuzha River in Thrissur district. 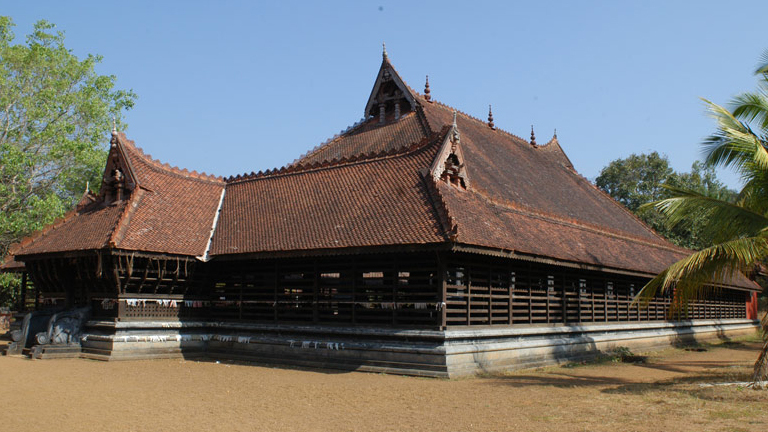 Kalamandalam began functioning on 09 November 1930 at Kakkad Karanavapad’s Mappad house at Kunnamkulam. After a brief period, the headquarters was shifted to Sreenivasom Bungalow at Ambalapuram village near Mulamkunnathu Kavu in Thrissur district. It was only in 1936 that Kalamandalm with this administrative wing and training grounds became active at Cheruthuruthi. Kalamandalam which initially started functioning under Kochi and the Kerala government is now under the Department of Culture, Government of Kerala. Courses are imparted on Kathakali, Mohiniyattom, Kutiyattam, Thullal, Chutti, Chamayam, Mrudangam, Mizhavu, Carnatic Music, Instrumental Music (of Kerala) and other such important subjects. Besides, Kalamandalam has troupes of its own to give performances. To know more about Kerala Kalamandalam click here.